Selling a home is always a big decision and homeowners do not take it lightly. Many weight the difference in the reasons they would like to sell the home and how difficult selling the home would actually be. Clickit Realty works to make selling a home a simplified process and many of our customers have chosen to sell multiple homes using our flat rate listing service. While we work to make selling a home easier on home owners’, the reasons to sell are usually the same. Throughout your life you will go through many transitions, single, married, family, retired, and empty-nester. What you need from your home will change throughout that time. What was your perfect home in your 20’s, may be a tight squeeze as your family expands and vice versa. This is probably the most common reason homeowners’ decide on selling their home. It is difficult (and expensive) to make your current home better fit your needs. Often is the case, as you transition through life where you live comes into play. “You can choose your home, but you can’t choose your neighbors.” That is just one reason to change location. Often a move is required for a new job or perhaps a new neighborhood that better matches your needs. The suburbs aren’t for everyone and up-and-coming areas sometimes doesn’t pan out. Or maybe you just need to downsize. A townhome is a great option for those who want to live in an exciting location with less maintenance. Anyway you put it, location matters and sometimes your home may just not be in the right spot. Whether you need to make money or save money your home is a major part of your budget. Your home may be in the right location, and the meets your needs for your position in life, but sometimes the budget just won’t allow it. Whether it’s taxes or mortgages, money matters are crucial to a home owners’ decision on selling a home. 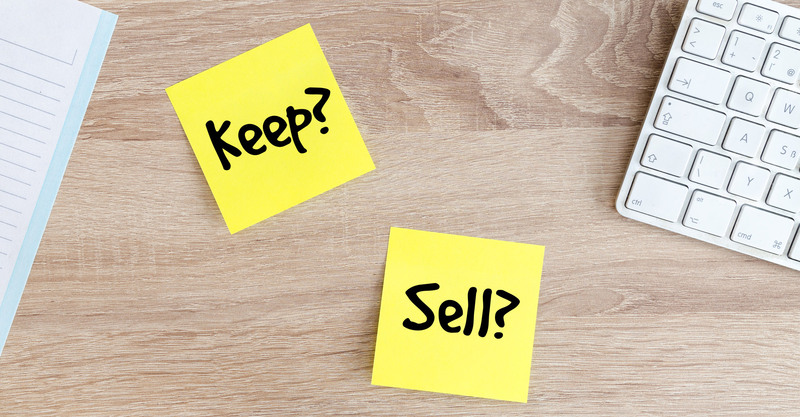 Your decision may not be easy, but selling can be! Listing your home on the MLS will ensure agents can find your home and show it to buyers. With our expanded listing network, buyers will often bring listings they want to see to their agents. All this means, for whatever reason you decide to sell, we can help you do it yourself and save money!